Home » News archive » THE AVIATORS…OW! 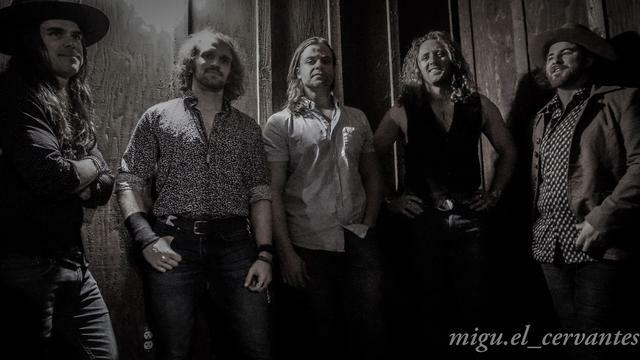 THE AVIATORS: Release Live Performance Video for "Goodbye to the Rain" Flowers and Moonshine Album Out NOW! Bakersfield, CA hard rock band THE AVIATORS has released a live footage music video for the single, "Goodbye to the Rain," filmed at The Canyon at The Rose, off of their latest album, Flowers and Moonshine. In an era when the perception that Rock N Roll is a dead art form, THE AVIATORS have eschewed the apathy towards rock n' roll and chose to release an incendiary piece of work that gives a nod to the legends of the past, but also blazes their own trail into the end of the decade. Flowers and Moonshine is the fourth offering from THE AVIATORS, and is a body of work that authentically reflects 10 years of blood, sweat, and beers–a mature effort which showcases both their individual strengths and collective prowess, none more evident than on the single "Goodbye To The Rain". The band has been featured on many international radio stations and have been well received from the video release of "Goodbye To The Rain", garnering over 40,000 views in the first two weeks of its release. "This album is the culmination of our years grinding it out in venues small and large, hustling gigs with national acts, and being in front of audiences that give one shot to prove your worth," says guitarist Daniel Reynoso. With the release of the new album, the band intends to expand their reach both regionally and nationally. We have previously released three albums of original material, which has been consolidated on our streaming sites to The Best Of The Aviators 1-3, with sounds influenced by AEROSMITH, LED ZEPPELIN, AC/DC, and southern rock. Locally we are known for our cover shows, where we play from a catalog of over 100 songs covering the rock classics of the 70's and early 80's. We've been successful playing in LA at venues such as the Whisky A-Go-Go, Redwood Bar, Saint Rocke, The Saban Theater, the Cave in Big Bear, and have been direct support for touring acts at the Canyon Clubs throughout the greater Los Angeles area.